100% Linen. 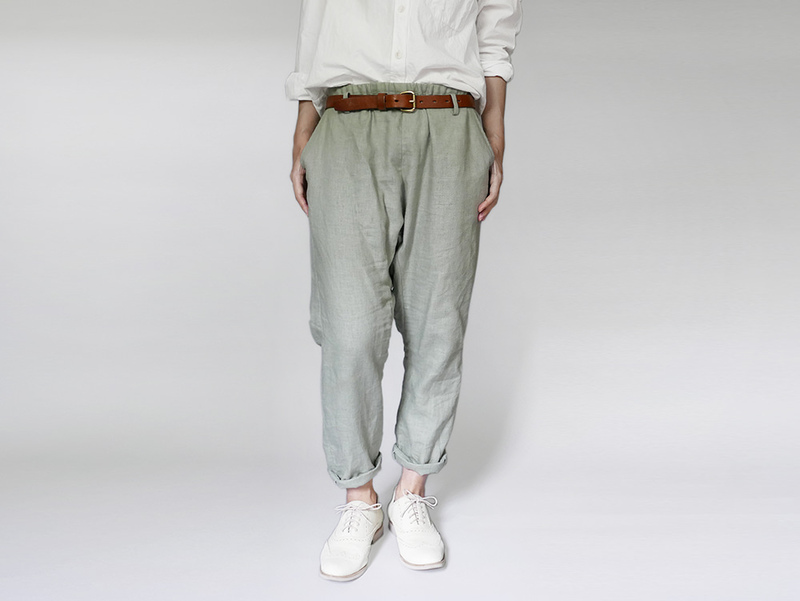 Each pants has unique random washed pattern, which is a characteristic of stone washed linen. Come with a linen string, and these are 5 belt loops on the pants.